“Doodh Mangoge To Kheer Denge, Kashmir Mangoge To Chir Denge’. After that, Firdaaus mother Begum Hazrat (Tabu) appears who has been so manipulative that she has kept both the lovebirds apart for so long. But, as per the call of destiny both of them are seen approaching each other on a wrecked bridge during the heavy snowfall. It is the upcoming movie of director Abhishek Kapoor based on a classic novel ‘Great Expectations’ written by Charles Dickens. The film also stars Aditi Rao Hydari, Lara Dutta, and Rahul Bhatt in supporting roles. It is slated to release on February 12, 2016. Stay tuned for latest Bollywood news and updates. Don’t forget to share on social media sites. 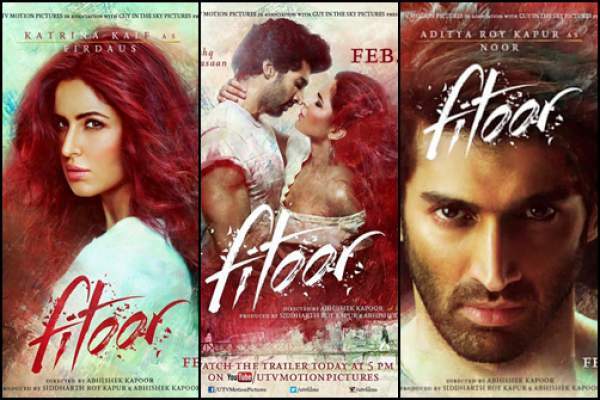 Did you enjoy watching Fitoor trailer?